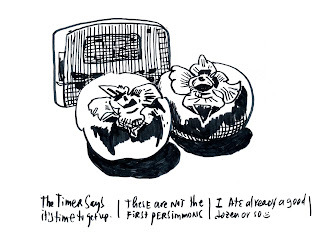 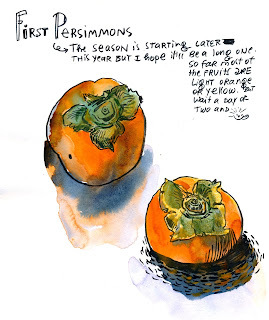 This is not a secret - I love persimmons. 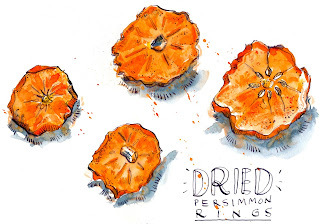 I love to eat them when they are crunchy (not astringent!) and when they are slimy, I love to touch their shiny geometrical shapes and look at their colors, I love how skin becomes transparent skin (very ripe persimmon) and the way calyx is made of folds and waves inviting me to experiment with all sorts of mediums to draw them. 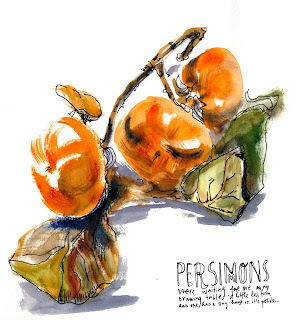 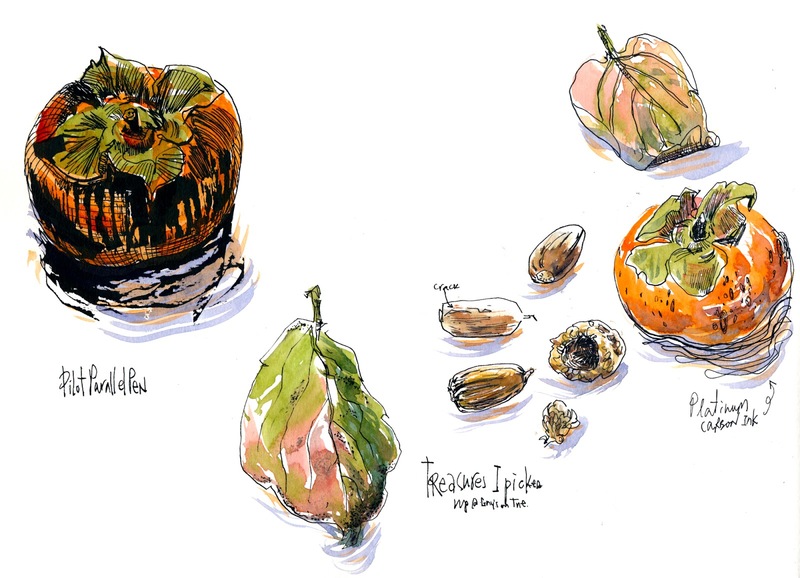 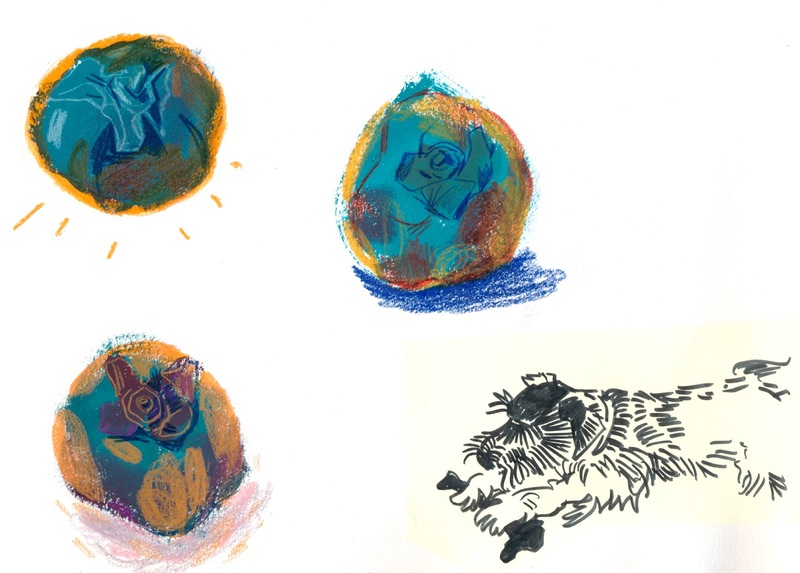 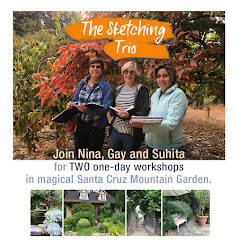 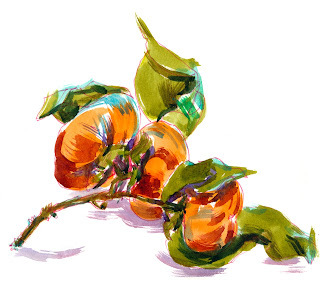 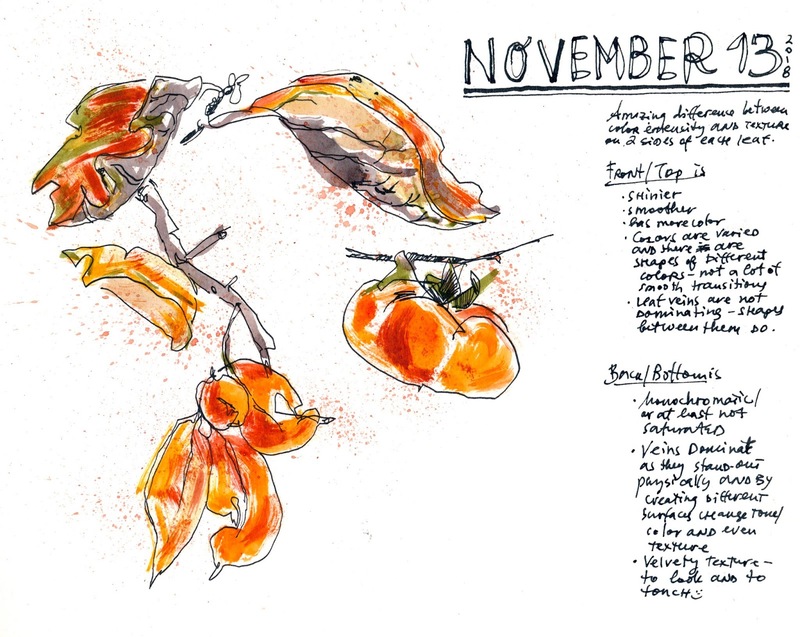 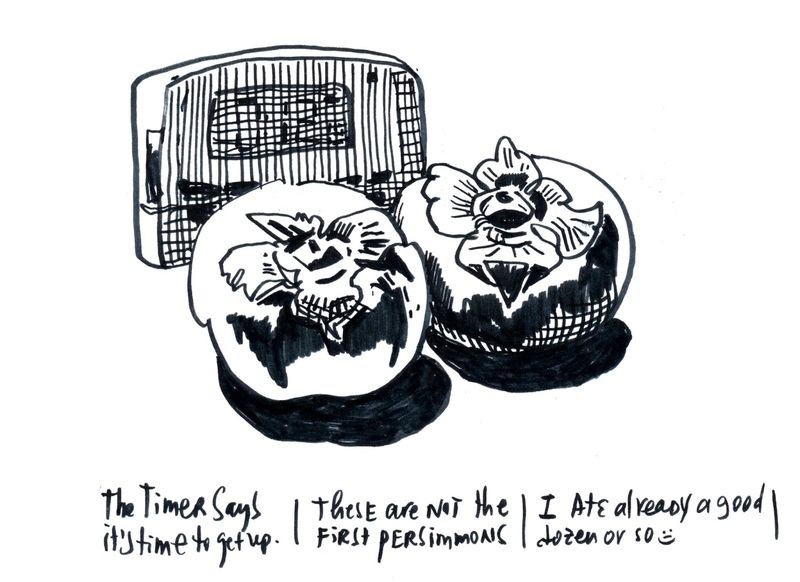 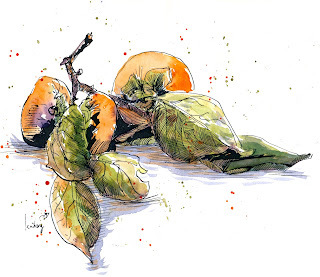 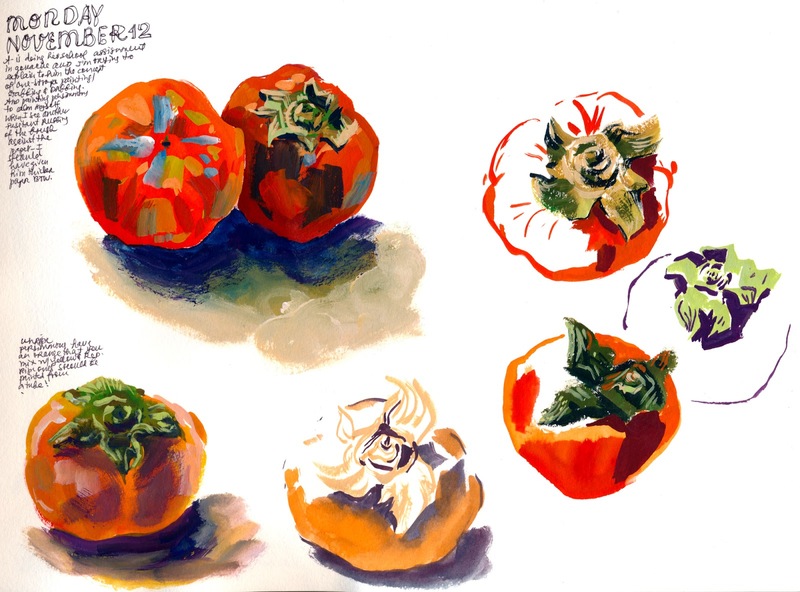 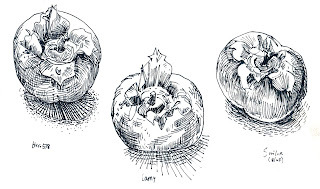 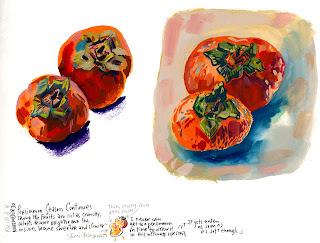 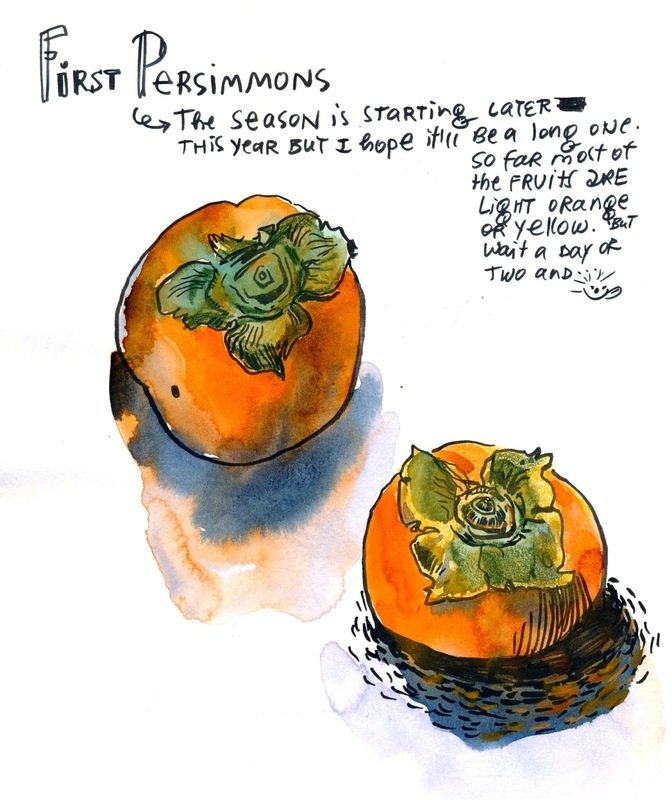 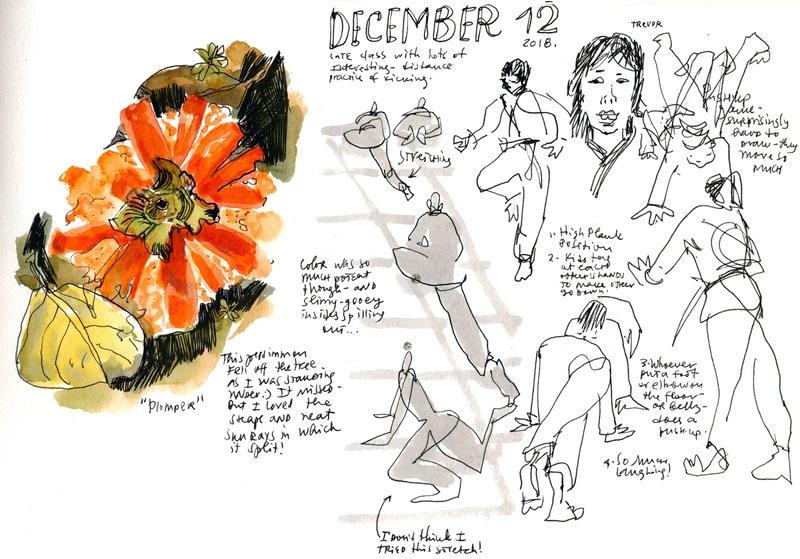 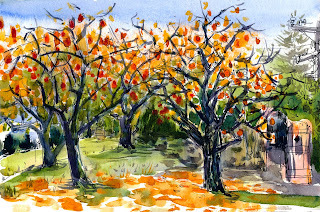 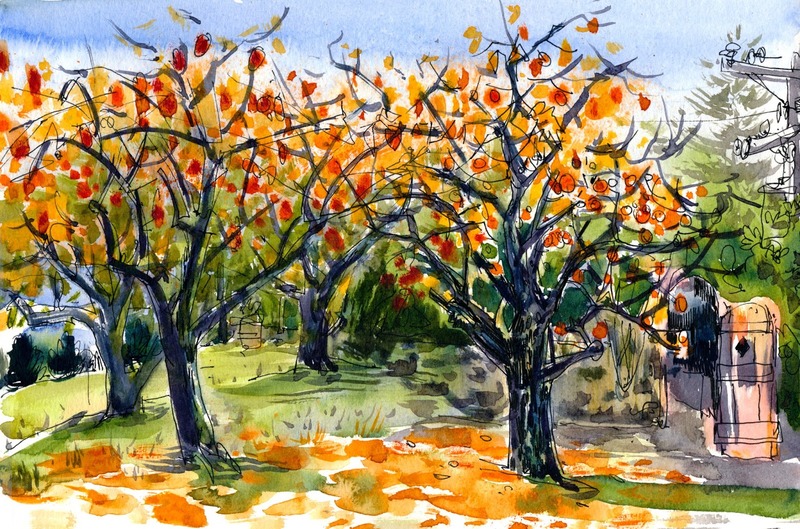 This was a great year for my persimmon-related joy as I got to share it with many friends - painting and drawing them from October through December - and here is a bunch of persimmon-related pages from my sketchbook!